Danny O'Brien has labelled Lycurgus the best Star Witness he has trained after the two-year-old colt recorded an impressive win on debut at Bendigo. Lycurgus settled back in the field and powered past his rivals late, prompting O'Brien to suggest "he has untapped ability". "I've been patiently waiting to get a good Star Witness, they have been winning plenty of races lately and I think this one is the best I've had," he said. "I was really impressed with what he did today, he has been working well at home and promising us a lot. "It is always good for them to actually do it on raceday and the way he won suggests there is more to come." O'Brien, who prepared Star Witness to win the Group 1 Blue Diamond Stakes, said he was unsure of the next target for Lycurgus but wouldn't rule out a possible trip to Sydney for the autumn carnival. "It is hard to know exactly where we go from here at the moment, I'll go home and see how the horse is tomorrow first," he said. "But I won't rule out anything, he is an exciting talent and I think he could measure up to stakes grade this time in. 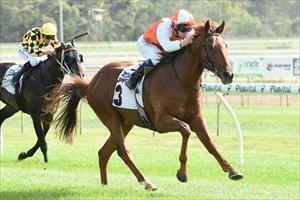 "I think he will get over a bit of ground, he looks to be a two-year-old that will run 1400m or 1600m. "A horse like The Barrister went to Sydney and got over a bit of ground at stakes level and he reminds me a bit of him."